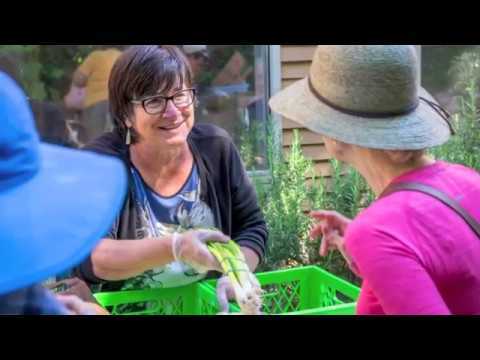 The Living Edge Community is a society operated by a group of volunteers from all segments of the Greater Victoria population who work together with food distributors, retailers, charities, and other community partners to offer weekly free Neighbourhood Markets in ten areas of Victoria where people on low income reside. A community dinner, in the heart of downtown, is also served every Sunday and has become a safe and friendly gathering place for many families. Over 8,000 families every month receive fresh vegetables and staples, market-style, once a week. Our community dinner on Sundays serve over 130 adults and 40 children every week. "I live on a small government pension and hardly have enough money for groceries. I am so thankful for the support from LIVING EDGE and the fresh food the weekly market provides. " "I sent a client in great need to your service [market] today, and he was so thrilled that he sent me a photo of what he got and told me that “some days are good days” – I am astonished at how much food he got for his family. Thank you all your workers – you truly are making a HUGE difference! "